The band is formed by Lord Demogorgon in winter of 2004. In January of 2004 the first demo "Doomsday" is recorded (line-up: Lord Demogorgon - guitars, vocals, keyboard, drums programming, Morbid - bass, keyboard). Soon after Asmodeus (guitar) joins the band and in March of 2004 the full-length album "Doomsday" is recorded. Shortly before the release of the album Morbid quits the band replaced by Gorgulas. With this line-up BLACK SHADOW records the second album "The Call of Death" released by MORE HATE PRODUCTIONS in 2005. Between 2005 and 2006 the band records "The Kingdom of Evil", full-length, S.B.M. Records) and "Hells Retribution to False Prophets Scums". The album is recorded by Lord Demogorgon (vocals, guitars, bass, drums programming) and Asmodeus guitars, backing vocals). In 2007- 2008 S.B.M. Records releases the compilation of previously unreleased songs and the recordings from the first live show of the band titled "Against the god � In the name of Darkness!" As well as a full-length albums "Death to Sheep-like Degenerates...", and "War � the Ever-Burning Flame of the Abyss!". In summer of 2009 Alefpeneash (guitar) joins the band. BLACK SHADOW starts composing new material for the next album planned for 2011. However Alefpeneash quits the band. He is replaced by a session musician. "The Awakening of the Black Dragon", full-length) recorded and mixed at Sound Hell Studio is released in May of 2011 by S.B.M. Records. The album is recorded by Lord Demogorgon and Asmodeus. 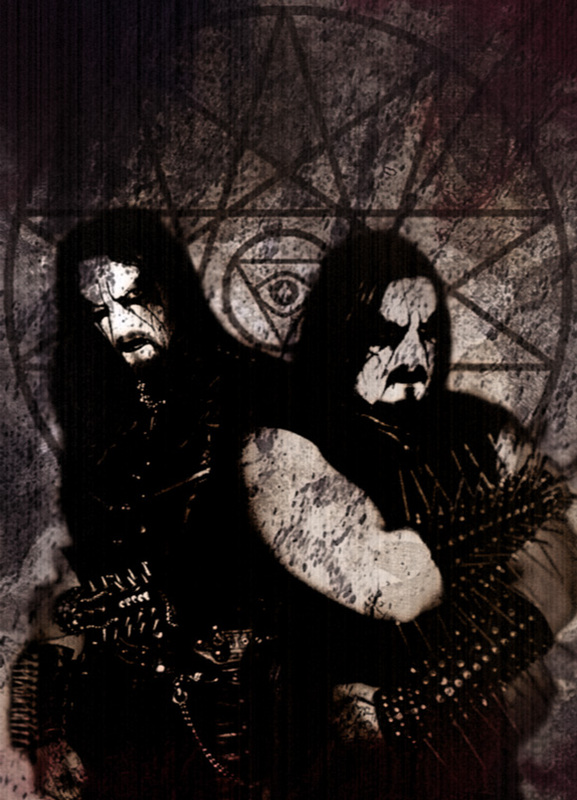 In November of 2011 the band resumes cooperation with MORE HATE PRODUCTIONS which reissues �The Awakening of the Black Dragon� in January of 2012. In March of 2012 the new album "�Through Black Flame of Moloch�" (MORE HATE PRODUCTIONS) is released. In 2014 MORE HATE PRODUCTIONS reissues "War � the Ever-Burning Flame of the Abyss!". The new album "The Last Stage of Regenesis" is in progress.